Chicago-bound!! ...well next week anyways. I am SO excited to say that I'll be heading out to Chicago next week (Wednesday to be exact) for my 6th NAEA conference (my past conferences include: Seattle, New York City, Fort Worth, San Diego, and New Orleans)! If you've never been to the national conference - you NEED to! There is no better place to learn about teaching and advocating for art education! It is also a GREAT way to travel the country and meet TONS of new people who do exactly what you do! 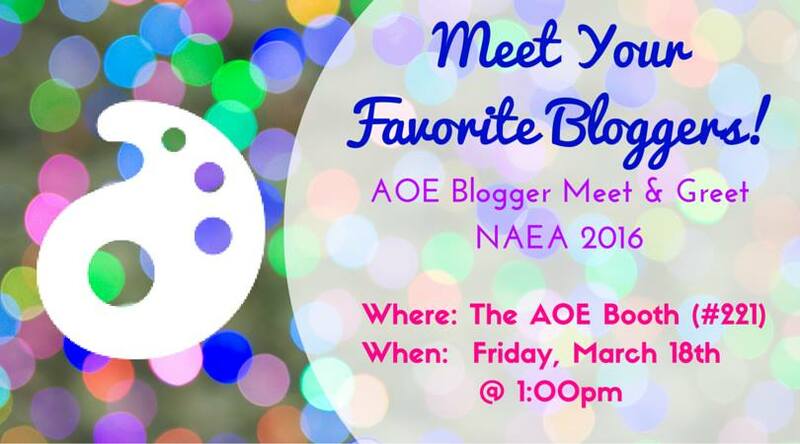 On Friday, March 18th, the Art of Education will be hosting their annual blogger meet-up at 1:00pm at their booth in the vendors hall. Both Mollie (from Please Don't Eat the Artwork) and I will be there for a while (as well as like a million other awesome people).. so if you are interested in meeting in the real lifes - come on by! Otherwise send me a message if you'd like to meet up some other time to talk shop or hang out (we have a great time every year)!